BRIGHTON PARK — The site of a demolished, century-old CTA bus garage will get new life as a major retail development under a plan OK’d by the City Council. Plans for the 6-acre “Archer Station” development at Pershing Road and Archer Avenue, approved by the City Council last month, call for four new commercial buildings and 366 parking spaces. The project will be anchored by a 40,000 square-foot L.A. Fitness center with an indoor pool, group exercise classes and child care options. “It will attract folks and be a neighborhood convenience. That’s a big seller for a community that’s starting to see some opportunity,” said Ald. George Cardenas. Josh Levy, an executive with the First American Properties, said the project will “establish a high standard” for development in the Brighton Park and McKinley Park neighborhoods. First American bought the 274,810-square-foot property for $1.6 million. “You will see the effect this has on the community,” Levy said. Cleanup at the site, which includes the removal of contaminated soil, asbestos-laden building materials and fuel and oil storage tanks, is underway, Levy said. TRA has successfully negotiated a long-term license agreement to expand and improve both the availability and the quality of the current Wi-Fi service on the MBTA Commuter Rail and Ferry Boats. The state-of-the-art standards will enhance the ridership experience throughout the system and also provide Wi-Fi service to the South Station, North Station and Bay Back commuter facilities. Which DC Metro stations are physically “walkable”? Anyone who’s seen the area around a variety of Metro stations knows that some are very walkable and some are not. Is there a scientific measure of that? Metro planners crunched the numbers to find out. The MBTA is selling the former ferry terminal building and the 7.8-acre parcel at the Fore River Shipyard on Washington Street at the Fore River Bridge in Quincy. The T is seeking bidders for the former ferry terminal building and the 7.8-acre parcel at the Fore River Shipyard in Quincy. The T is seeking bidders for the land and building at 703 Washington St. There is no minimum bid for the property. 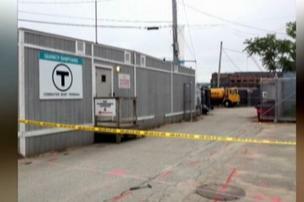 Bids are due on Wednesday, April 16, and a pre-bid conference has been scheduled at Transit Realty Associates, the Boston firm that disposes of MBTA real estate, on Thursday, April 3 at 1 p.m.
Bidding documents did not reveal the zoning for the parcel. A spokesman for Quincy Mayor Thomas Koch said the parcel is zoned industrial but with a special permit almost anything could be built on the site. 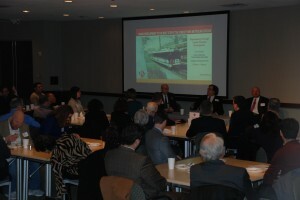 On Tuesday, February 25th CMT welcomed the Transit Oriented Development ‘Deal’ Guy, Francis DeCoste, to St. Louis. Before a crowd of more than 80 St. Louis civic and community leaders, Mr. DeCoste discussed his assessment of the development possibilities and challenges around the Forest Park MetroLink Station. “Even though MetroLink opened in St. Louis in 1993, building around our public transit infrastructure has not gone as far as the region could hope. We looked at the Forest Park MetroLink Station because it will be truly multi-modal in the near future– with the MetroLink red and blue lines providing service, several MetroBus routes serving the station, the future Loop Trolley, Great Rivers Greenway trail and more all providing access. With these realities in mind, we were happy to see Fran examine the possibilities for development and possible financing incentives for the area,” said Kim Cella, CMT Executive Director. Mr. DeCoste has over 30 years of experience in the real estate development industry. In his career, he has successfully negotiated and conducted due diligence for site acquisitions, performed economic feasibility analysis, coordinated site and building designs, presented to the public proposals for the permitting and approval of projects, obtained both institutional and private financing, and managed the sales and construction of retail, office, multi-family rental, and luxury condominium projects throughout the country. As Chief Operating Officer with Transit Reality Associates, Mr. DeCoste is responsible for directing the daily operations of TRA and overseeing all staff as well as focusing on transit oriented development projects in the Boston and Chicago markets. 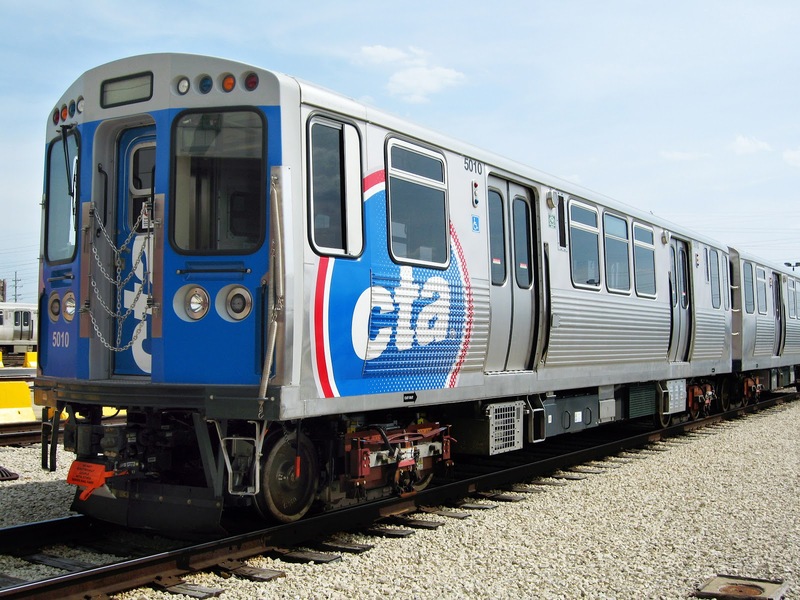 Enjoy Mr. DeCoste’s presentation here, and plan to join us for CMT’s presentation to the community on the feasibility study for a possible mid-town MetroLink Station at Cortex on March 27 at 7:30 am.